develop and implement local action projects to reduce the potential for violence in their school. 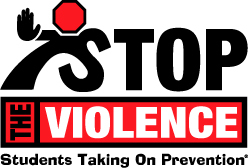 Colorado FCCLA offers two types of state recognition to chapters that complete STOP the Violence projects. State Project Awards: Chapters apply to showcase their hard work and innovative projects with the Colorado Program Award Application. 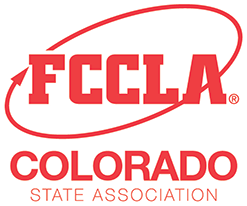 The 1st place chapter honor may include cash awards and special recognition at the State Leadership Conference, online, and in Colorado Comments newsletter. State General Recognition: Individuals and chapters that complete a National Program project may complete the State Recognition for National Program Participation Form and receive a certificate of participation and special pre-show recognition at the State Leadership Conference.